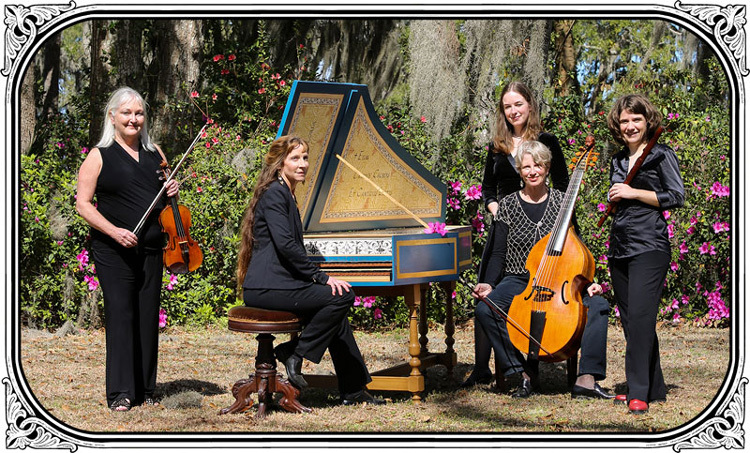 Savannah Baroque is a group of professional musicians dedicated to communicating the beauty, stories and passions of Early Music to today’s audiences. Our core ensemble includes sopranos Ashley Roper and Tina Zenker Williams, viola da gamba player Marcy Jean Brenner, baroque violinist Ann Cafferty, baroque flutist Jeana Melilli, and Anne Acker on harpsichord, fortepiano and organ and as director. "In this diverse debut the stunned and sustained applause after the electrifying Monteverdi O Bone Jesu was all you need to know about Savannah Baroque. I am looking forward to much much more!"